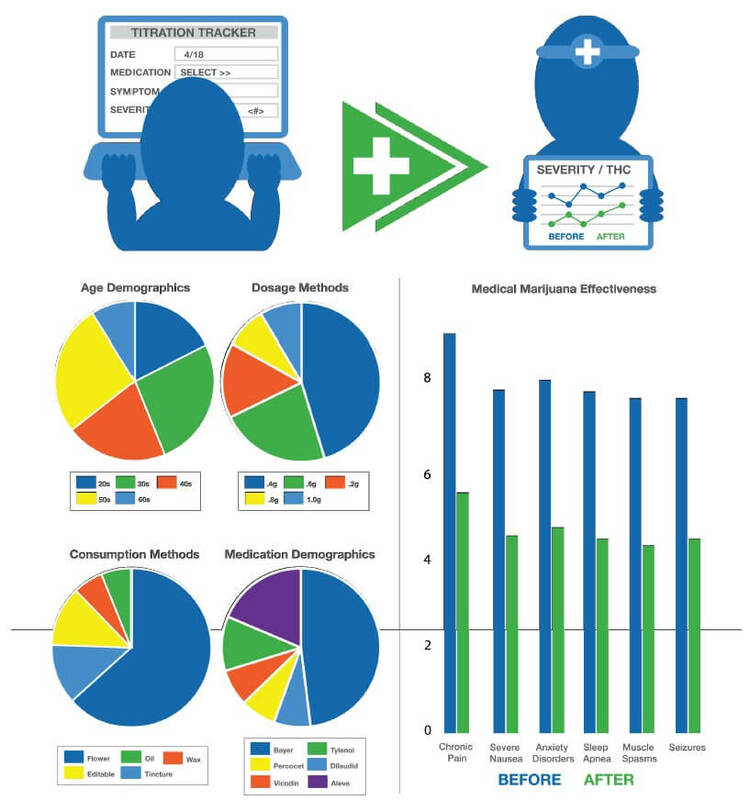 We provide self-reported patient data through measurement of cannabinoid intake and graphically display symptom relief via our proprietary Symptom Tracker. Patients can give instant feedback to a physician about their symptom relief, which helps to determine the “before and after” effects of taking medical cannabis. By encouraging patients to opt-in and use the Symptom Tracker, physicians will receive real-time data about their patients’ treatment. View current symptom tracking data. To learn more, use the links below, contact us online or call us at 1-800-909-4505 today.